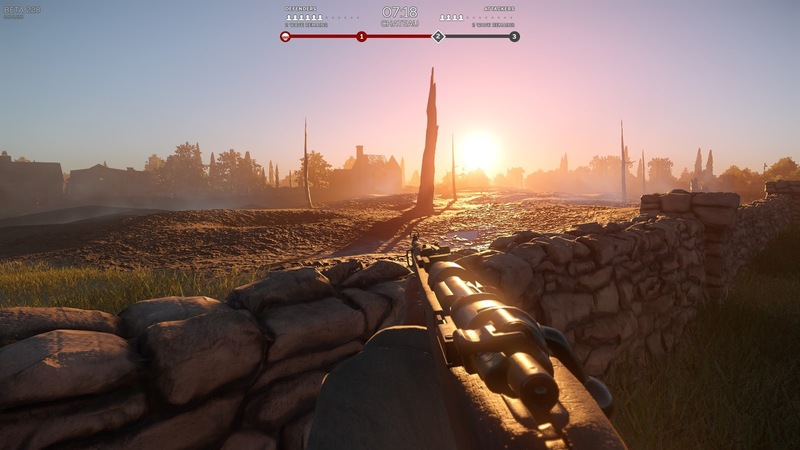 This past weekend saw the launch of Vanguard: Normandy 1944 onto Early Access. There were some close games, some tight rounds, and a lot of thoughtful discussions. We’ve really enjoyed watching people playing and discussing the game so far, and we are very pleased to have made it to this stage! We’ve read hundreds of comments and suggestions and, even if we haven’t replied to each one, we are taking them all on board. You may have noticed from playing that the Early Access release is a little rough around the edges, with some features missing and some nasty bugs present. We’re using this process to develop on the foundations that we have now based on feedback from the community and players. It is very much a community focused process, so please do let us know what you think the game needs and what you’d like to see. Right now we are focused on bugfixing. We noticed a lot of issues over the weekend which frustratingly could only be caught by launching the game. Some have already been patched, and some need a little more investigation. The server-related issues right now are a priority, including server-side lighting errors and players getting returned to the menu mid-round. We want to encourage greater teamplay, the start of which requires making it easier to play with your friends. We’re also working on ways of scaling Raid to different player counts, creating a new dynamic in how the game plays. Below is a quick snapshot of what we are immediately focused on which we plan to include in the next patch. Player orientation – Adding spawn location hint markers for the defenders to have an idea where the enemies are originating from. Weapon tweaks – Balancing and speed adjustments to the MGs. Map tweaks – Removal of some invisible walls and trap spots that have been reported. There are other small changes we have made and are continuing to add in. We’ll release patch notes of each update so you can see what is included. We have additional content planned as well, but want to polish the current player experience first. 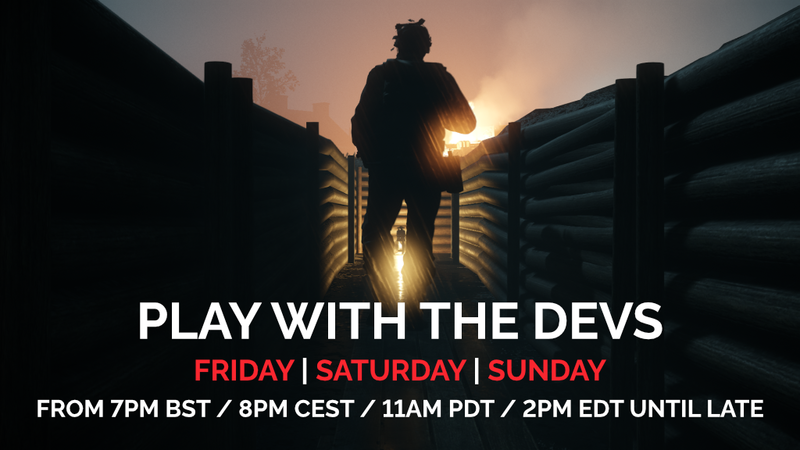 Join us next weekend when many community members and developers will be playing the game! Keep an eye on the website, Discord and our social media sites for timings which will be confirmed this Wednesday. We currently support 6 languages in game but are keen to get as many more implemented as possible! If we haven’t localised the game into your language yet and you are interested in helping out with the translations, please get in touch via Discord! We’ve loved seeing in-game screenshots from our players over this weekend, and we’d like to turn it into a regular feature! Starting tomorrow we’ll be posting our favourite screenshot onto social media – with player credit of course! Keep the screenshots coming by uploading to the official Steam Group or posting to our Screenshots and Clips channel in our Discord server. well done guys.!! keep pressing on..!!! !